Q: I have an M-brand 200W high power amplifier; will it damage M&D® speakers? A: Not likely to happen under normal operating conditions. 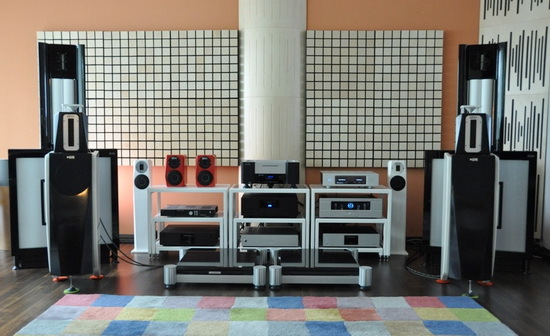 High power amplifiers are capable of providing better control to the speaker system and handle music dynamics better. In average with tens watt output, most of speaker can reproduce an acceptable sound level to listener. Of course you will automatically turn the volume down when a speaker has been distorted to an unbearable level. However this is still far from damaging to the speaker drivers with today’s technology, not to mention Mark & Daniel speakers that have been made under the highest standard with state-of-art components. It should be noted it is still possible to damage any speaker if they are misused. For instance: 1) Much too strong sub-sonic signals being amplified into the reproduction system; 2) Power amplifier has been burned for any reasons and the protection relay has malfunction at the same time (strong DC current may damage the bass driver under the situation); 3) While system being used as Karaoke, strong acoustic feedback occurs for certain period of time without taking care. Anyhow, cautiously controlling the volume knob of the amplifier is the best protection for your system.